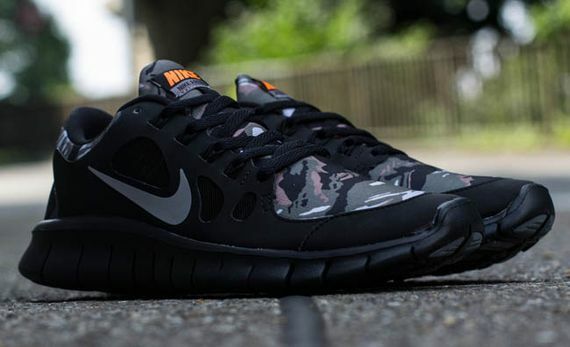 Nike Free 5.0 GS - "Camo"
The Nike Free is an extremely popular model, and this latest release sees them bring a sick new camo colorway as a GS offering. 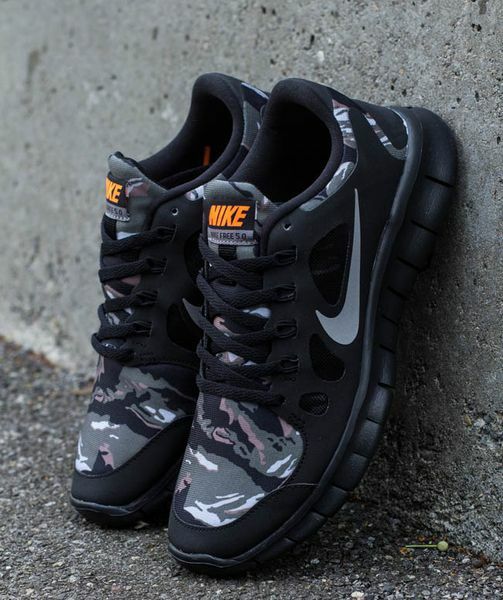 Featuring everything you’d expect from the Free 5.0, this pair steps up its game with a toe-box/tongue printed with a unique camo print that sits well with the black on black look that runs through the rest of the shoe. 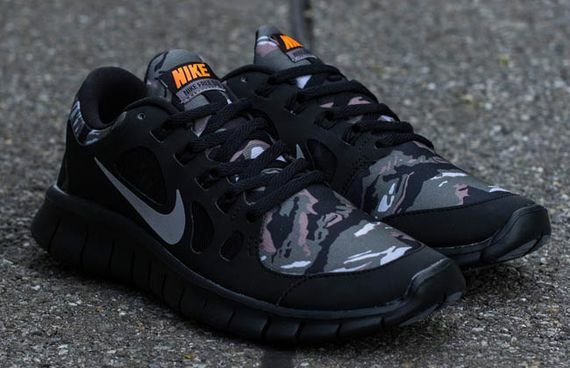 A bright pop of hunting orange via the Nike tag is a clever ode to the hunting nature of this pattern, all the while keeping things sporty and stylish. Head on over to Titolo if you or your girl would be interested in this. More photos after the jump.